Letitgocoach – Page 80 – Relax. Let go. Let it happen. Today I went in search of a Christmas gift for my son. He just turned 27, never asks for anything and doesn’t need much to be happy. I went to my favorite downtown area and strolled through the shops. Found items that came close, but not quite right. Went into one shop that looked like a friendly, eclectic place. A glance at the price tags had me shaking my head in bewilderment. They were really proud of their stuff! Then I stepped into my kind of shop. Everything antique, or handmade, and not overpriced. Just things that someone once loved and was ready to pass on to the next person to enjoy. I pondered if there was something I could tell him. 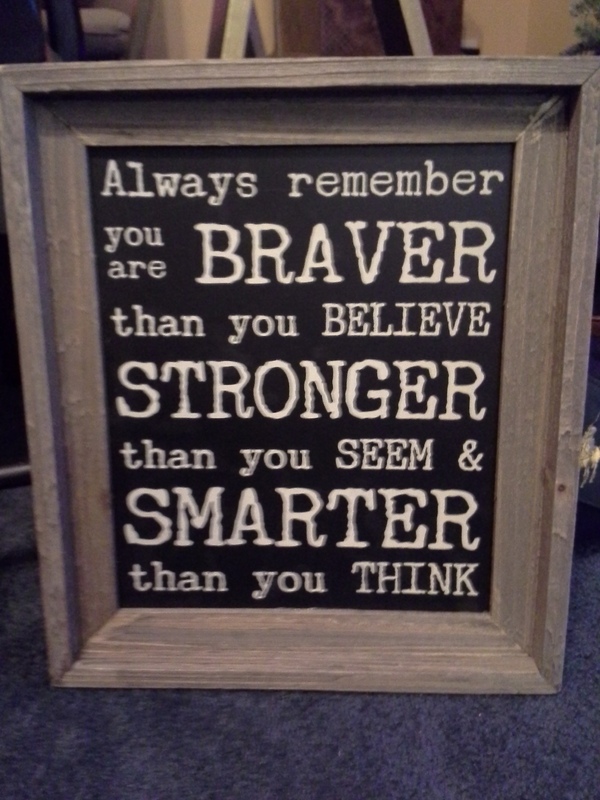 Something he could look at and be encouraged by since I’m not there anymore. Then, I saw this sign. It’s exactly what I would want him to know everyday as he heads out the door to work. I didn’t notice until I got home, but they even placed it in an old Randall’s grocery bag, which is where he worked for several years. This is my second Christmas as a single Mom, and God has been so good to me. I don’t recall a whole lot about last Christmas because I was too busy trying to find myself to be present! This has been an awesome year, and I’m so excited about the next! I know who I am today, and strive to become everything God wants me to be. As I was leaving the shop, I spotted a bowl of Christmas ornaments on a table near the door. One in particular caught my eye. If you are familiar with my post back in June, “Little Bit of Everything”, you’ll know why. 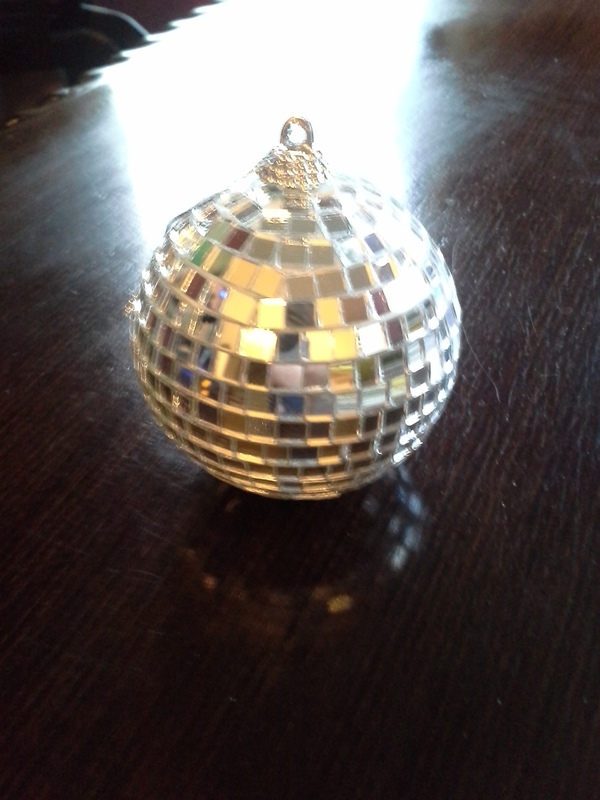 Yes…it was an ornament that looked like a miniature Disco Ball! Hanging a Disco Ball from my old oak tree was one of the most freeing things I ever did. Who actually does that? Keith Urban and me. My daughter and I were enjoying the flashes of light coming through the window from it just last week. We laughed and talked about that song, and the day we hung it in the tree. It’s been through some seasons, but it still hangs right where we put it and shines it’s glamorous light whenever the sun hits it. That’s a lot like us. We go through seasons, and weather the storms. There was many a day I had to visualize God as my Strong Tower, giving me shelter from a storm. The storm would last a couple of hours, or a couple of days, but God is faithful. He pulled me through every one, and I was stronger and better than before. When I stepped out into the light, I was able to shine brightly just like that Disco Ball. I picked up the ornament and walked back to the counter to pay for it. The lady knew I had completed my purchase, but found this on my way out. She said, “You can have it. I’m going to give it to you.” I was stunned, and told her, “Thank you.” I wonder if she will ever know how much that little ornament means to me. This Christmas, I have one to hang on the tree inside the house. God is good. This is the time of year we reflect on our accomplishments for the year. Have you accomplished what you wanted? You will achieve your grand dream, a day at a time, so set goals for each day-not long and difficult projects, but actions that will take you, step by step, toward your dream. Write them down, if you must, but limit your list so that you won’t have to drag today’s undone matters into tomorrow. 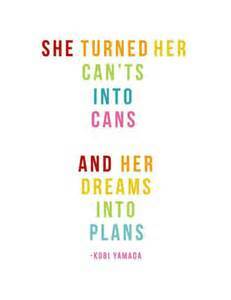 Remember that you cannot build your dream in 24 hours. Be patient. Never allow your day to become so cluttered that you neglect your most important goal-to do the best you can, enjoy this day, and rest satisfied with what you have accomplished. I’m sitting with my daughter, and we’re making a list of goals for 2015. This is phenomenal to me! She is at the age to take them seriously, and I’ll get to watch her take the stepping-stones God lays out toward her dreams. She’s young enough where she’s just getting started on life, and I’m mature enough where I’ve done a lot of life, including helping others achieve their goals. I’m at the age now where I’m ready to step out and do a couple of things I’ve always wanted to do. Early in sobriety, I wanted to write a book to encourage others. Years later, I’m ready to write that book. My daughter is the artist, but I love working with my hands. Stained glass has always intrigued me because I love light and color. I’m going to try my hand at making stained glass. Both of these have income potential, but that is not the reason I’m doing it. I’ll do it for the joy it brings and pray that they will bring peace and joy to others. 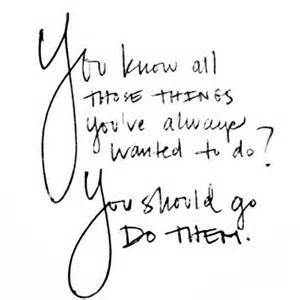 Is there something you’ve always wanted to do? Let me encourage you today to choose one and add it to your goals for 2015. In the past I have allowed so much of life to run me. No more. It’s time to draw a line in the sand and accomplish a dream. Something that you’ve always wanted to do. What does that look like to you? Please share. This was in my Inbox and I wanted to share. It fits right into the ‘A Better Way To Live’ series, and gives us some diversity on the subject. I agree completely with what Matt is saying. What are your thoughts? Please share your comments. When I decided I wanted to do this Happy Days challenge, I didn’t realize how hard it would be. The challenge was to photograph yourself during a happy moment. This was a daily task to be completed for 100 consecutive days. Doing anything for this long, short of breathing and sleeping, is quite a challenge. There were a couple of times I forgot to take a picture. There were a few times I forgot about it completely until about 11pm. But, I did it. And I’m really proud that I completed it. Some of what I learned was things I thought I already knew, at least intellectually… but doing this challenge made them real. Now I know for sure. It’s probably one of the most empowering things I’ve ever done, and reinforces that I am indeed “enough”. Whether you choose to look for happiness or not, it’s definitely there, waiting to be discovered. …as long as you search for it. Sometimes, I get the impression that making an effort to be happy somehow isn’t as “good” as it just naturally happening spontaneously. This forced effort somehow makes happiness feel like it’s worth less. Well, that’s bullsh*t.
This was an interesting realization. I’ve read lots about happiness, and this is one of the things that often came up. Until I actually did this, I didn’t appreciate how important it was. I realized there was no reason I couldn’t be happy with what I have now, while still pursuing what I wanted. Being happy is awesome. Being happy is fun. Who would have thought that? I’m hoping you can sense the sarcasm there. Participating in the Happy Days challenge will let you experience happiness in a whole new light. Go out of your way and consciously search for activities that make you happy. This quest makes it no less meaningful whatsoever. Sometimes it was as simple as having dinner with my parents. Another time it was a funny Twitter account. Even just acknowledging that I was doing this challenge made me happy. The smallest things eventually add up to big results. Lots of my pictures were about me. I really enjoy making other people happy. Looking back at my 100 days, I realized I’ve got the opportunity to do it a lot more. The challenge doesn’t need to stop at day 101. Nobody owes you happiness. You need to earn it. It doesn’t usually happen by accident. Sometimes it does, of course, but do you really want serendipity on its own to be responsible for your happiness? It was still on my mind after I’d completed the 100 Happy Days; which, I suppose, was kind of the point of this challenge. Some days I wondered, “What in the world will I choose for my happy moment?” It’s called the #100happydays challenge though. To complete it, you needed to be persistent. That’s why 71% of people didn’t complete it. They cited “not having enough time” as the main reason. If you don’t have time to be happy, what do you have time for? I was happy and that’s what really matters. Why would I need to pay attention to what other’s said? Why should I be affected by what someone else thought? On day 44, I posted a picture of a cool t-shirt that my dad bought me. Someone I knew said to me, “You must be running out of things to be happy about, if that’s all you could come up with.” This really annoyed me. Why does anyone have the right to question what makes me happy? That feeling lasted about 5 minutes – then I just started feeling proud. I was proud of the fact that I was succeeding at this challenge and making my life better. I was proud that this other person was doing nothing of the sort. There are no rules about what makes me happy, you happy, or anybody else happy. I also did two happy moments on day 7, and one on day 104. Why? Because I’m a rebellious lunatic, that’s why. Joking aside, just because there are “rules”, doesn’t mean you have to follow them blindly. Unfortunately, that’s what most people do. Do you want to be most people? Friends, writing, driving, Jack Daniel’s honey, socks, myself, reading, playing “I spy”, juggling, basketball, food, weights, moving out, clothes, climbing, roller coasters, irony, compliments, gratitude, friends, cooking, myself… the list just goes on and on. It really helps when you take the time to tabulate what makes you happy. From my best friend visiting from China, to some cool socks – happiness is everywhere. Don’t dismiss anything, big or small. Two other people in my team at work started participating in this 100 Day challenge whilst I was. I like to think I had something to do with that. Maybe I did inspire them? Who else could I inspire? A variety of people were interested in the challenge. They asked me lots of questions about it, but never did anything about it themselves. What would you do? I added this point in about three weeks after day 100. I’m not taking the time every single day to appreciate a moment of happiness. Everyone has stuff going on in their lives, but every time I asked myself the question “If I don’t have time to be happy, what do I have time for?” it really put things into perspective. Most matters simply don’t matter – being happy does. Is there really anything more important in the world than being happy? For me, no. Nothing else seems to matter if I’m not happy. There are some people who’ll read this and think I’m selfish. They would be wrong. One of the things I love most of all is developing, helping, mentoring, coaching and empowering other people to be happy. It’s probably the most fulfilling thing I do. I do it because it makes me happy, and; hopefully, makes them happy too. Because I’ve been on a journey to discover who I am and what makes me happy, I’m in the perfect position to help other people do that. Discovering this attribute has been the best and most worthwhile thing I’ve ever done. Why wouldn’t I want to help other people have that same experience? So, I did the #100happydays challenge for me. However, if I inspire even one of you to take the challenge, or think about your own happiness in a different light, I’ll be happy. If I actually inspire someone to do something about it, I’ll be ecstatic. I write what I learn. I sure am grateful to wake up sober each morning. After 16 years, I still recall that sick, hung over feeling of my drinking days. Yes, just to wake up and be sober is a great start to my day. My morning sets the tone for the day. Thanking God for my day is how I begin. Each day we are given, is a fresh start, a new beginning. We have the opportunity to finish a project started the day before, like painting a room, but we don’t bring that day with us. Everything that happened yesterday, is in the past. It’s gone, so let it go. Focus on today, and the ‘right now’, and allow the gift of the present to flow into your life. We cannot see what’s in front of us, if we’re looking behind us. Let it go, and make room for what God has in store for you today. 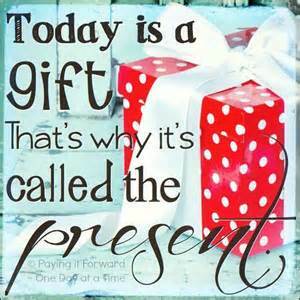 Today is a gift, that’s why it’s called the present. It’s your job to open it. Are you more attuned to the little things, or the big things in life? Years ago, I was looking out my patio door at the swimming pool in the backyard. The water had a hint of green to it, which was not a good thing. Looking back on it now, there were a series of little things going on that made me notice the big thing. Maybe the water wasn’t circulating enough, or the salt was low and not able to produce enough chlorine. There was a checklist that I went through in my mind, but had to go out to the equipment to investigate. There is usually a little thing not functioning at its highest potential, that causes a breakdown in the rest of the natural order of things. We see it everyday, and if ignored, will cause a domino effect and after time, a really big thing will be staring you in the face. For me to be fulfilled it’s all the little things someone does that brings me to overflowing. It’s not a big, expensive act anymore, it’s just the little things of caring in everyday life that bring me joy. 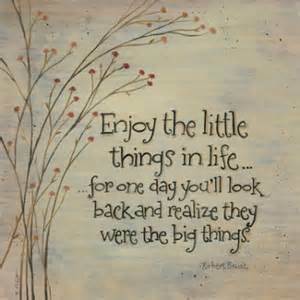 I notice the little things, and hope today that you will too, because they are indeed the big ones. My daughter and I laugh all the time! We say some of the craziest things to one another. So much so….she keeps a record of it! Laugh at yourself and at life. Not in the spirit of derision or whining self-pity, but as a remedy, a miracle drug, that will ease your pain, and help you to put perspective on that seemingly terrible defeat of the moment. Banish tension, concern, and worry with laughter at your predicaments, thus freeing your mind to think clearly toward the solution that is certain to come. Never take yourself too seriously. I have learned not to take life or myself too seriously. If I am having a moment of seriousness, my daughter starts reading off a list of funny things I’ve said in the past. By the time the second one is out of her mouth, we’re both laughing so hard we can barely breathe! By hearing what she is reading, I can recall the time and circumstance it manifested, and it brings back great memories. Once we’re finished laughing, which I usually have to ask her to stop reading, we feel so much better! Not just physically lighter, but mentally clear as well. There is a solution to every obstacle. You may not see it immediately, but give it time. You will know how to handle everything this life throws at you. In the meantime, laugh! It truly is the best medicine and it’s free! As you have probably noticed from previous Blogs…I love Steve Jobs. His life here on this earth was cut short, but oh what a legacy he left behind! Where would we be today without this guy? Probably not typing on this laptop. Are you ready for Day 10? It’s a real mind bender. Beginning today, treat everyone you meet, friend or foe, loved one or stranger, as if they were going to be dead at midnight. Extend to each person, no matter how trivial the contact, all the care, kindness, understanding, and love that you can muster, and do it with no thought of any reward. Your life will never be the same again. I love doing acts of kindness in secret. Recently, my daughter and I were at a local restaurant, and the waitress was a single Mom. She has three kids and is a little concerned about Christmas along with the power bill. She left our check laying on the table and our meal was $15. I paid for the meal, and my daughter leaves a $60 tip. We gathered up our belongings, hurried out the door and hopped into our truck before she could notice. We do little things like that quite often, and enjoy helping others in that way. Today’s rule challenges us to show action face to face, with no thought of any reward. To show a complete stranger all the goodness you can muster. This should make for a very interesting day! If you are following this series, and choose to take this challenge, please share your comments below. I would love to hear how your life changed by changing someone else’s, and your thoughts around midnight.